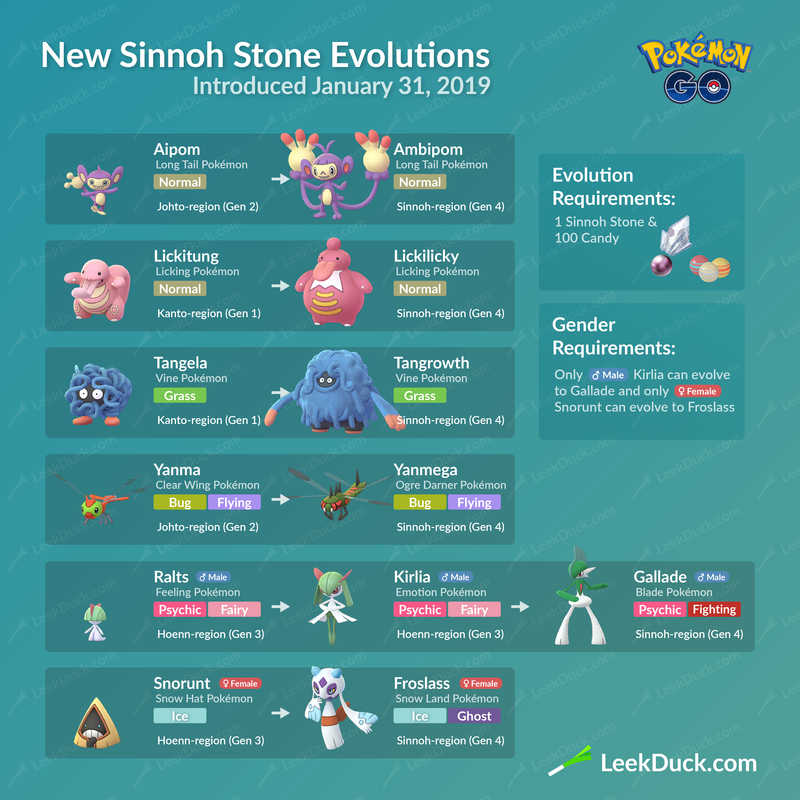 These are the current evolutions that require the use of the Sinnoh Stone. Go to Sinnoh Stone FAQ below. What is the Sinnoh Stone? The Sinnoh Stone is a new evolution item in Pokémon GO. It replaces the evolution items required for the certain Sinnoh-region evolutions in handheld games. For example, in the handheld games Porygon2 requires a Dubious Disc to evolve to Porygon-Z. The Sinnoh Stone is an all-in-one item. How do I get a Sinnoh Stone? As of right now, you have a chance of obtaining a Sinnoh Stone by achieving a Research Breakthrough (by collecting 7 Stamps). It is confirmed by the Pokémon GO Community Manager that there will be other ways of obtaining the Sinnoh Stone in the future. What about the other evolutions like Leafeon, Glaceon, or Magnezone? 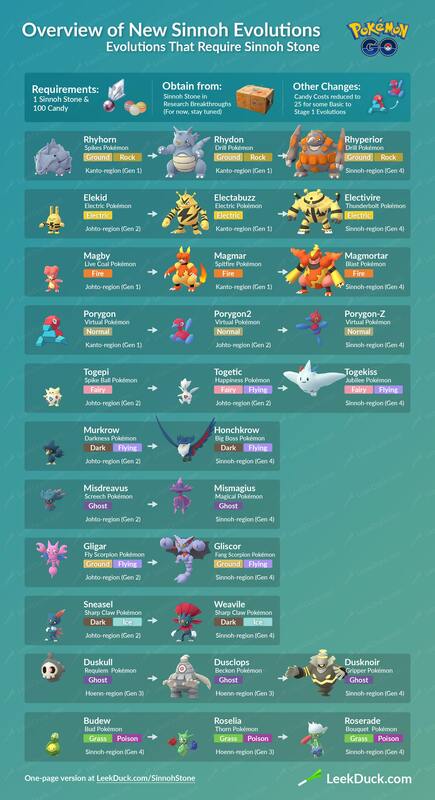 They do not require the Sinnoh Stone and aren’t released as of this time. (as of November 11th, 2018).